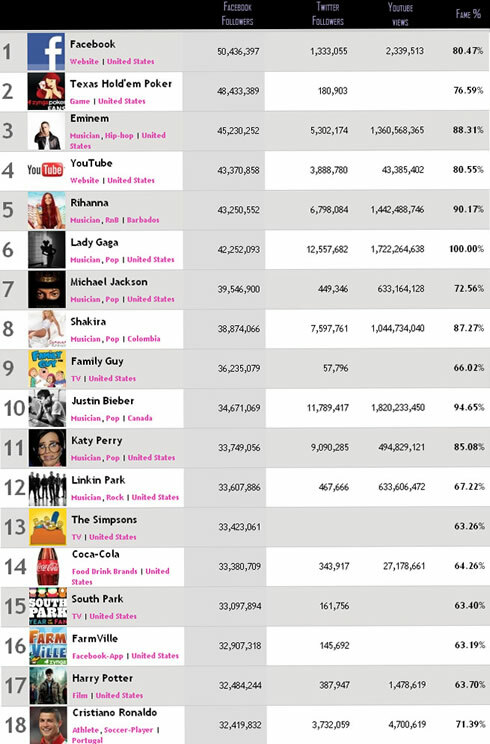 Cristiano Ronaldo was ranked as the World's most popular football player, according to the reputed site "Famecount.com", which analyzes the media impact from social network pages. CR7 was ranked #1, leaving behind his Real Madrid team mate Ricardo Kaká and Barcelona's Lionel Messi. 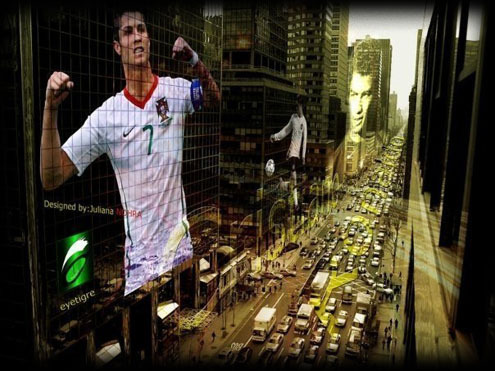 Cristiano Ronaldo has deliberately made an investment in increasing his presence on the Web, over the last years. 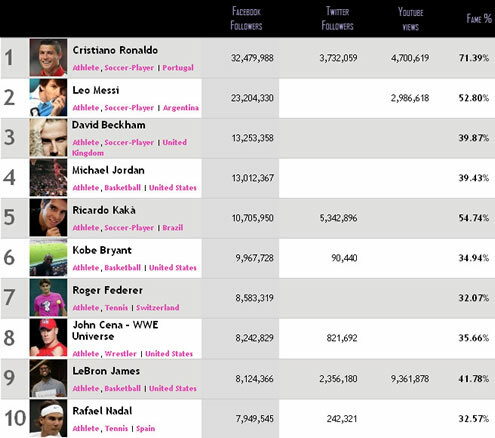 CR7 is one of the few athletes who has an official Facebook, Twitter and Youtube page, as well as an official website. This sort of analysis provided by famecount, demonstrates the notorious emergent importance of social media presence, so that athletes, teams and personalities can stay closer and interact with their fan base. However, there is also a negative side from this increasing social networking usage, specially through Twitter, leading to a few unwanted and inopportune incidents in a few celebrities lifes.